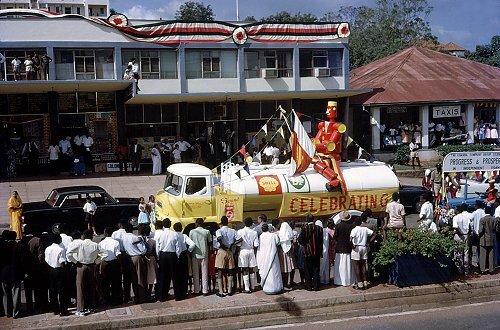 Uganda@56 — A happy Independence Day Uganda — Folks enjoy some amazing video highlights of the events preceding Uganda’s Independence celebrations in 1962. 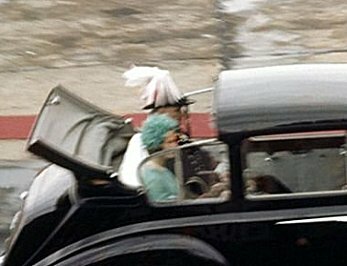 The Queen was represented by the Duke and Duchess of Kent. 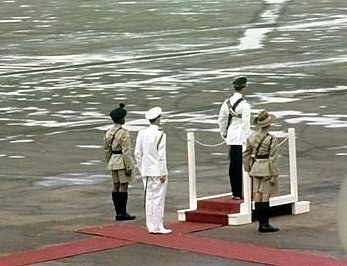 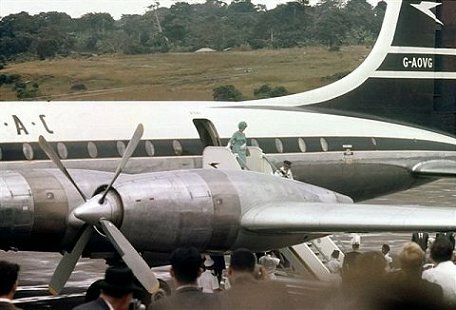 Below are some images of The Duke and Duchess of Kent arriving from the UK onboard a Britannia 312 G-AOVG, to witness the handover to Prime Minister Milton Obote. 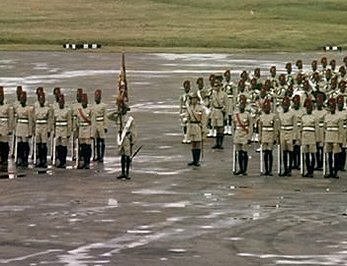 They were saluted by Ugandan forces, known back then as the Uganda Rifles. 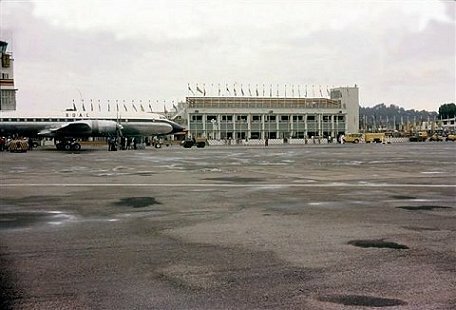 The venue was the Old Entebbe Airport tower and terminal Building that were decorated for the Independence Celebrations. 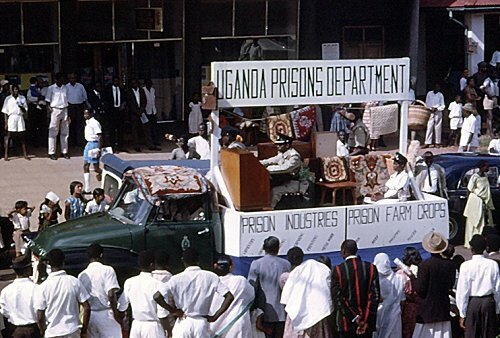 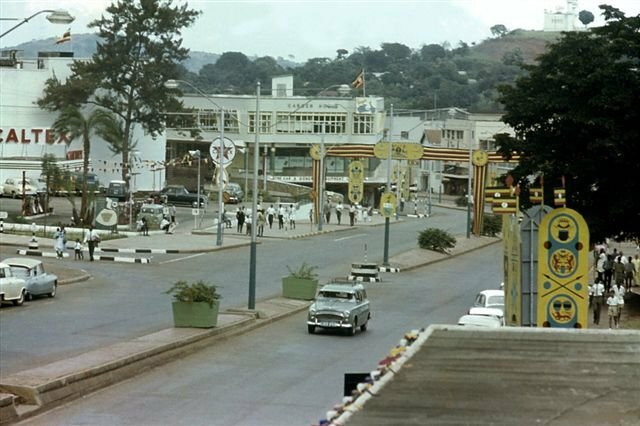 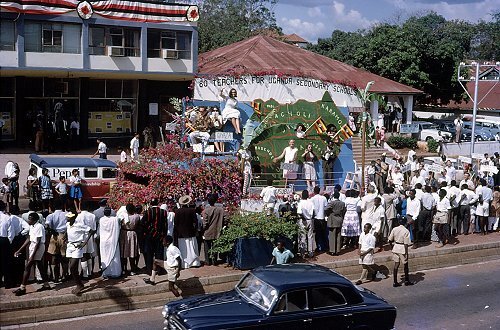 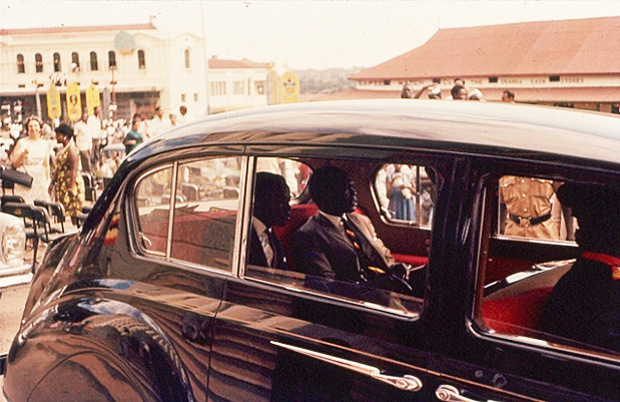 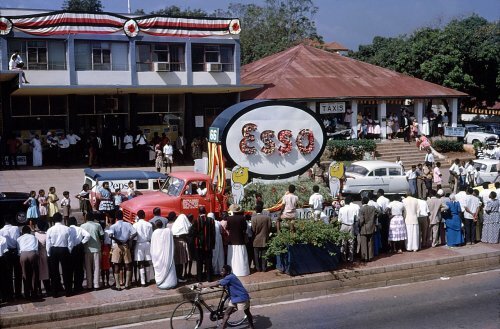 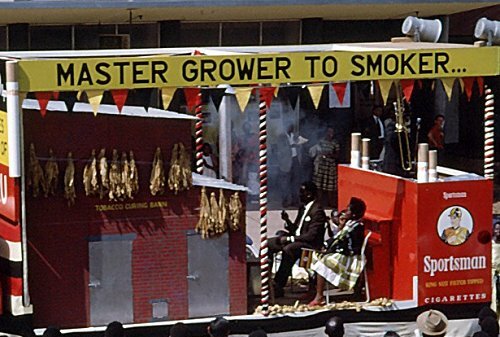 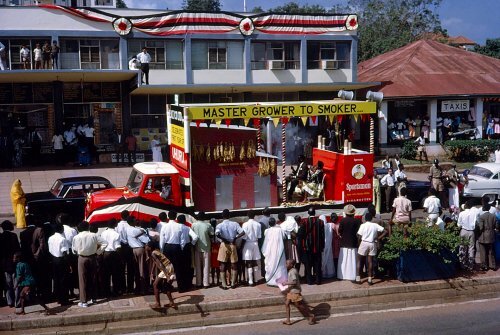 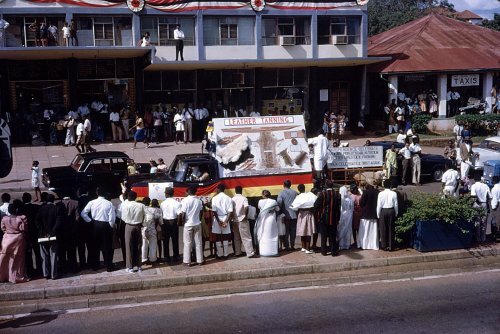 Photos by Daphne Seager | Here are some rare photos captured in color of what the day was like back in 1962, when Uganda gained its independence from the United Kingdom. 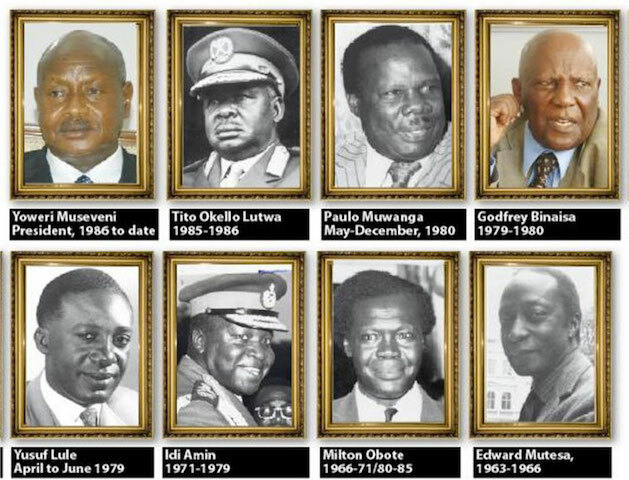 Below are some of the images of all the Presidents Uganda has had since Independence. 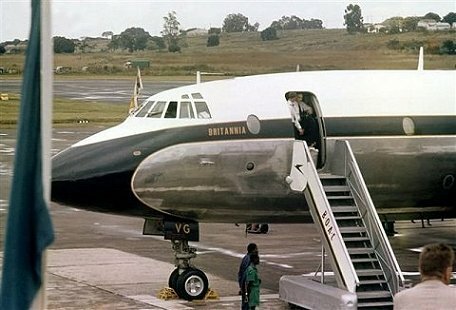 The Duke and Duchess of Kent arrived from the UK onboard a Britannia 312 G-AOVG, to witness the handover to Prime Minister Milton Obote. 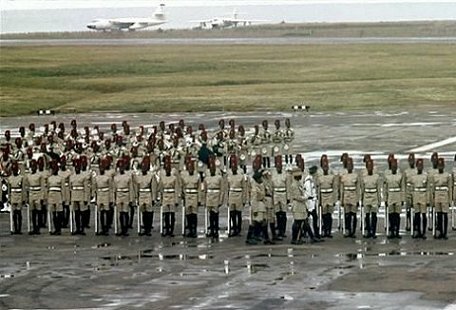 They were saluted by Ugandan forces, known back then as the Uganda Rifles. 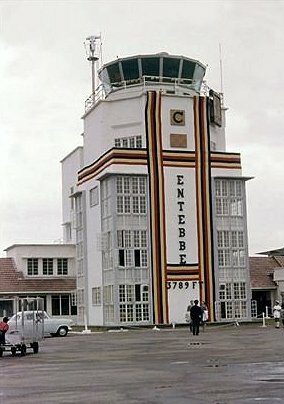 The venue was the old Entebbe airport tower and terminal Building that were decorated for the Independence Celebrations. 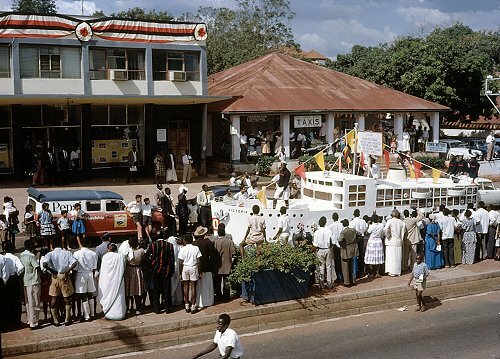 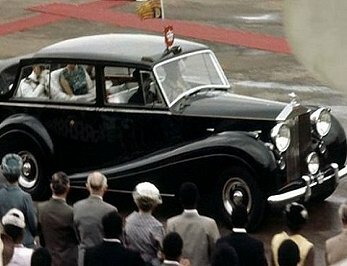 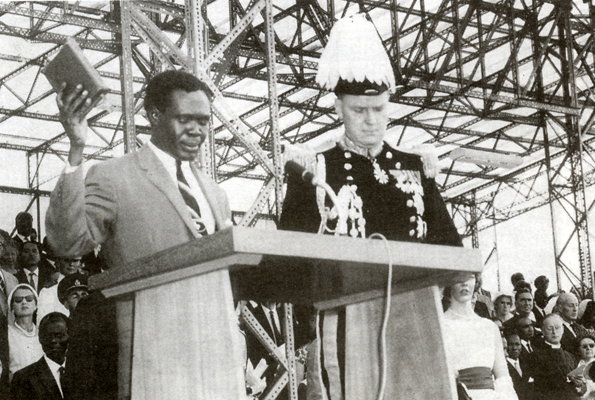 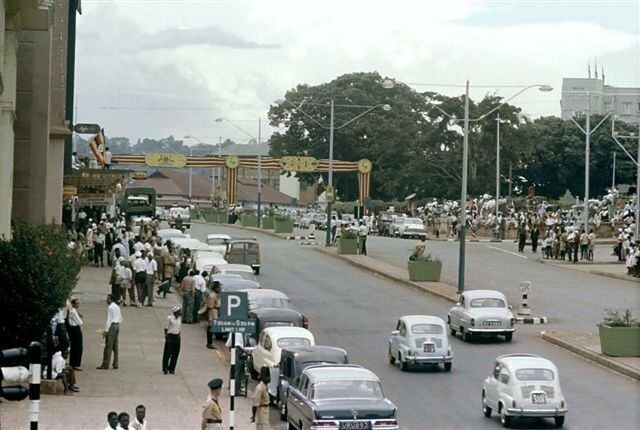 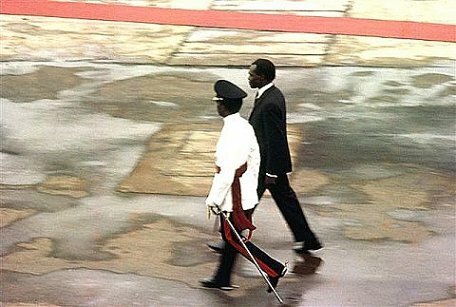 Below are some more photos of that Glorious day, 56 years ago, when Uganda became a Republic! 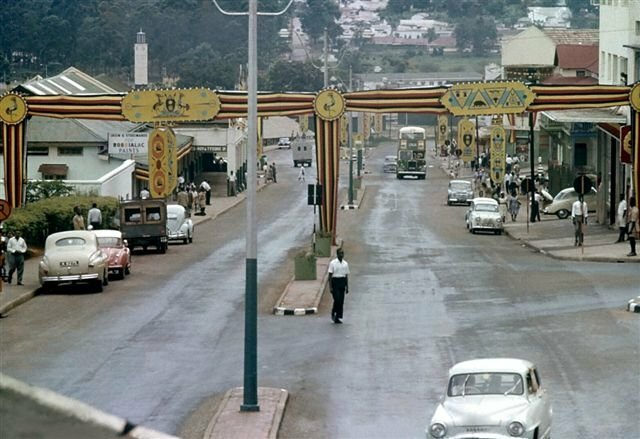 nice peace of work..its good to remind ourselves what happened then esp 4 those of us who werent there..but the question is ARE WE REALLY INDENPENDENT?